Cozied in the north shore of New Zealand is Birkenhead – a suburb of Auckland that offers gorgeous beaches, picturesque vistas, and the hidden gem that is GTO Printers. 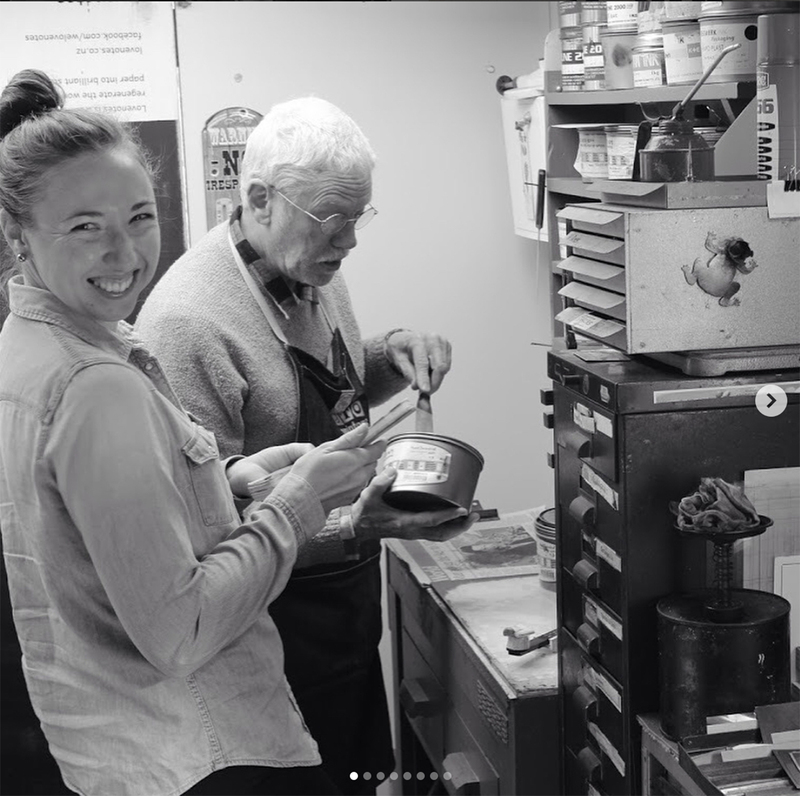 Graham Judd was able to take a minute to talk shop with us about his trip to the Ladies of Letterpress last year, falling for printing on day one, his cozy (but efficient!) garage-turned-shop, and gearing up to create more workshops to spread the love of letterpress in New Zealand. FAMILY AND PRINTING LIFE I grew up in a small country town in New Zealand, had a happy family life, the middle child of five. My dad was the local radio station manager and mum sang a lot in local operatic shows, so we were brought up with music and social activities in our home. We were sent to the local Baptist church and there I made a decision to follow Christ at age 17. This has influenced my journey in life ever since. I moved to Auckland with my wife in 1975, and we are still here. We now have three adult children. They all love what I do, but all have their own careers outside of printing. FALLING FOR LETTERPRESS I left school with few qualifications and no idea of a career, but a friend who was a compositor in a local printing company suggested I look at an apprenticeship in the printing trade, which I did. And I loved printing from day one. My apprenticeship was as a letterpress machinist, training on Heidelbergs mainly, platens and cylinders. I later retrained on offset as letterpress was phased out. NEW ZEALAND WONDERS Up until January 2018 I have been leasing a small building in the local area where we live, and I think my ‘apprentice’ Christina kept our local coffee shop in business with her mocha purchases. The situation changed and it was the time to move the business home. So now I have a small (one car garage size) area that houses most of my equipment. I’m allowed a bit of extra space in the real garage for paper stock, and I have my old Albion press at the local library. My print shop is typical, with the Heidelberg 10×15 platen and Polar guillotine taking most space, then a small stone, galley rack, ink stand, work bench, a type cabinet with my wood type, and that leaves enough room to take one step to get to anything! It works well, I can’t buy any more stuff, which is probably good! MENTORS + INSPIRATION My basic training was done a long time ago, I’m now at the stage of life where I’m passing on my bad habits to others. But people who come to mind that impress me with their work are Jenn at Starshaped Press, the lettering of Jessica Hische, and the work of local printer Tara McLeod who would be New Zealand’s most experimental letterpress printer. In my trips to USA the things that really stand out have been visits to Hamilton Wood Museum, the International Printing Museum in Carson, Edes and Gill Printing Office in Boston, the Crane Printing Plant, and of course our visit to John at Letterpress Things in Chicopee. DESIGNED FOR PRINT I am really a printer only, very dependent on artwork being supplied by clients. This possibly means I miss out on some jobs that won’t get past the designer/printer shops, but it does mean the job is ready to print when it gets to me, so the decisions that can make a job hard work are all done. It does mean that designers that have pushed the limits of what letterpress can do in their design, give me challenges on the press. FULL TIME FUN I have run my business full time for nearly 35 years, that included offset and later digital machines. I was fortunate to go through the period between letterpress and digital, when offset ruled, and there was a lot work for a small commercial printer. Now that I am nearing the end of my professional career, I am ok that work is slowing a little, but I still love inking up the press whenever I can. PRINTING FEATS In 2014 I printed a set of art prints for a client, which won me the supreme award in the Pride in Print Awards in New Zealand, the best of the best printing for that year, beating all the big offset and digital boys in the country. I thought it should get some recognition when I entered it, but was delighted and amazed that the judges put it at the top. That was pretty cool. I have trained up two ladies who have both set up successful letterpress businesses in New Zealand. I am very proud of both of them, and proud to think I had a small hand in their success. I feel the printing trade has been good to me, and am happy to give back as I can. PRESS HISTORY The first press I purchased was an AM Multi 1250, a small offset press, back in about 1982. By 1987 I had replaced it with other offset presses, and got me a brand new Heidelberg TOK that year. My first letterpress machine was an Adana 8×5, purchased in about 1995 I think. That was about when I got a desire to dabble in letterpress after a 20 year break. 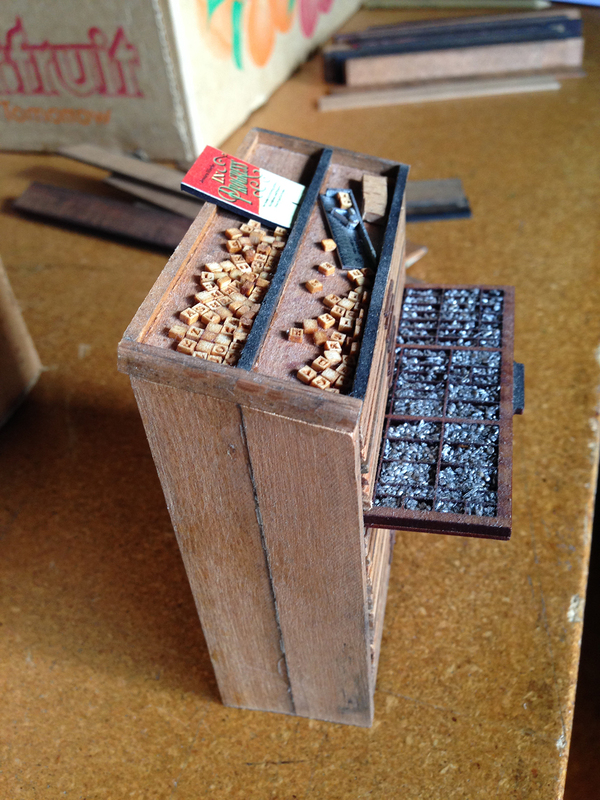 I purchased my Heidelberg Platen in 2008, and that’s when I got serious about commercial letterpress again. BOXCAR’S ROLE Living in New Zealand means I have had little to do with Boxcar Press, only seeing the name pop up regularly on google searches for letterpress stuff. Meeting the boss and Maddie and others at the Ladies of Letterpress convention in 2017 was great. I was most impressed that Maddie was willing to dive into the press to pull out all the rubbish deep inside! Getting the ink into your blood is a prerequisite of a dedicated letterpress printer! SHOP TIPS My experience is mostly with Heidelbergs, so one thing I reinforce is, for new operators, set up and get the feeder running consistently before inking up the press. If it’s not feeding well it’s just adding to the battle of getting a good job done. 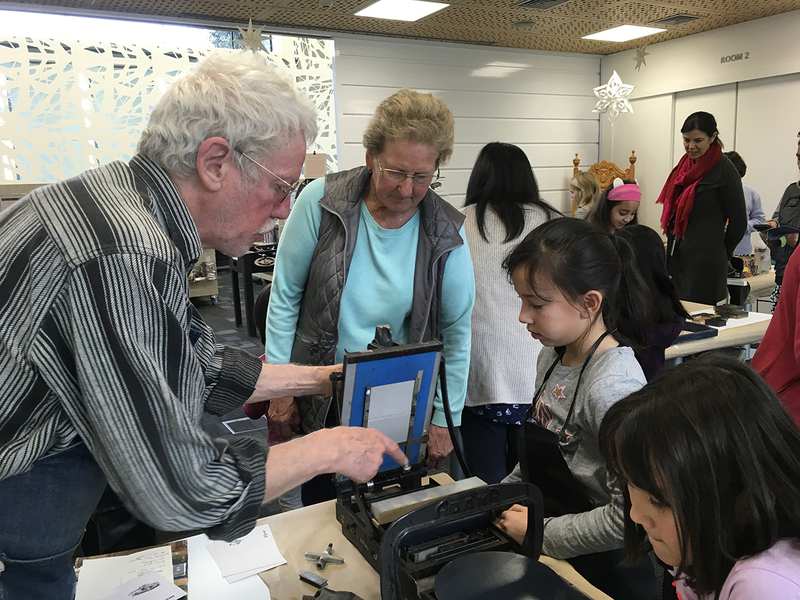 WHAT’S NEXT There are opportunities to run more workshops, both beginner letterpress and Heidelberg platen workshops. I have a plan to set up a mobile printshop, visiting schools, libraries, and events where I can share the letterpress experience. I’m on the lookout for an ex-ambulance or similar. And for a while yet continue to run my little print shop as a profitable and happy place! A world of thanks to Graham of GTO Printers for letting us take a sneak peek into his New Zealand printing world!